TORONTO, Oct. 30, 2013 /CNW/ - Brian Koscak is one of the expert contributors to the "Review of Crowdfunding Regulation 2013" published by the European Crowdfunding Network (ECN) on October 30, 2013. 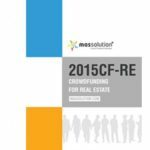 Brian authored the "Canada" chapter of this report which aims to provide interpretations of existing regulations concerning Crowdfunding in Europe, North America, and Israel. This report was commissioned in response to the rise of Crowdfunding over the past decade: "The rise of crowdfunding ... is a result of the on-going digitalisation of processes and communication in our society, with easy access to high-speed internet and digital devices. But crowdfunding has recently been moved to the forefront in the discussion on access to finance. This is a result of the economic crisis and the associated market failures of the incumbent financial services industry, which provides financing to small- and medium-sized enterprises (SMEs)." The ECN hopes that the report will be a key tool for regulators across Europe and North America, for entrepreneurs, investors and any other interested stakeholders that would like to take part in shaping the future of Crowdfunding. Currently, both Ontario and Saskatchewan have published specific proposals for an equity Crowdfunding framework while other members of the Canadian Securities Administrators are also looking at how securities can be sold over the internet under existing securities law. Brian Koscak is a partner practising in the areas of corporate and securities law. Brian is the Chairman of the Exempt Market Dealers Association of Canada, a national non-for-profit organization representing exempt market dealers, issuers and compliance professionals across Canada. Brian is also a member of the Ontario Securities Commission's Exempt Market Advisory Committee which is considering new ways to raise capital in Ontario, including through equity Crowdfunding. Brian is one of Canada's leading authorities on equity Crowdfunding. He has spoken at numerous conferences, events and webinars about developing a viable equity Crowdfunding framework for Canada. He has had various articles published about equity Crowdfunding and been mentioned in the media. Brian regularly consults with securities regulatory authorities in Canada about equity Crowdfunding as well as advises a number of clients seeking to engage in equity Crowdfunding, including exempt market dealers, funding portals and Crowdfunding industry associations. Cassels Brock & Blackwell LLP is a leading Canadian law firm focused on serving the transaction, advocacy and advisory needs of Canada's most dynamic business sectors. The European Crowdfunding Network is a professional network promoting adequate transparency, (self) regulation and governance while offering a combined voice in policy discussion and public opinion building. Founded in 2011 as an interest group, it formally incorporated as an international not-for-profit organisation in Brussels, Belgium in 2013.